For Yankees’ reliever Phillip Diehl, what he thought was a prank turned out to be a life-changing decisions: He had been traded. Diehl believed that manager Aaron Boone was playing a trick on him when Boone told him he was traded to the Colorado Rockies because earlier on Saturday, when the team set up pregame haircuts, Diehl had taken CC Sabathia’s spot in the barber’s chair. “Is this for real?” he asked Boone, according to MLB.com. Unfortunately for Diehl, it was for real. 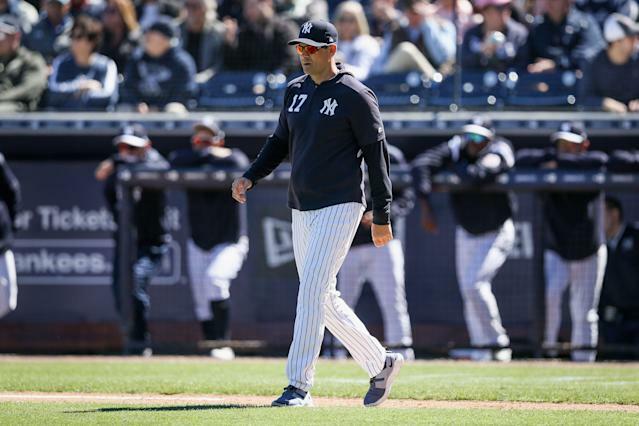 The 24-year-old has spent the past three seasons in the Yankees’ farm system and was considered a promising pitching prospect, appearing in nine spring training games. Instead, he’ll be shipped to Colorado in exchange for outfielder Mike Tauchman as the Yankees seek depth in the outfield. There’s nothing like being “in” on a joke, and then realizing it wasn’t a joke. Perhaps Diehl shouldn’t have felt sorry for cutting in line.